The Russian Flagship maintains a list of scholarship opportunities for students completing intensive summer language and study abroad program requirements. Study abroad programs feature weekly guided excursions in the host city and travel to other regions of Russia or Kazakhstan. Overseas coursework focuses on all aspects of the language, from informal conversation to specialized professional terminology. 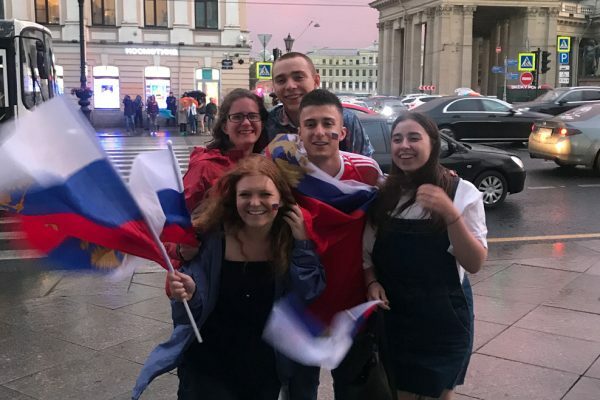 Russian Flagship students study abroad twice, typically first during a summer term and then again for an entire academic year. The opportunity to study abroad is a hallmark of the Russian Flagship experience. Students in the program are expected to study abroad two times: first on an introductory “pre-capstone” study abroad program for at least six weeks, usually completed during the summer, and then for an academic year on the Russian Overseas Flagship in Almaty, Kazakhstan. Russian Flagship students are required to complete a minimum of 6 weeks of participation in an intensive overseas Russian-language program at the secondary level or above prior to admission to the Russian Overseas Flagship (ROF) capstone year abroad. Most students fulfill this requirement by participating in a UW-Madison summer study abroad program to a Russian-speaking country. 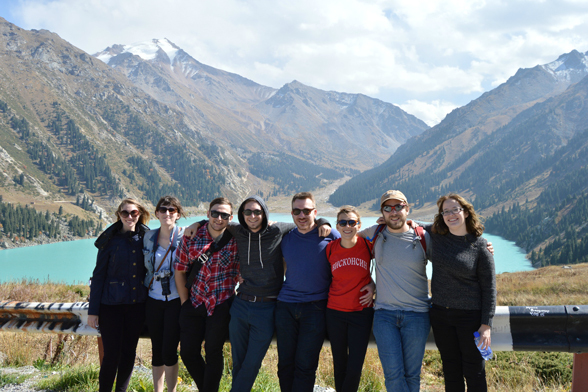 UW-Madison study abroad programs include summer, academic year, and semester programs in Moscow, St. Petersburg, and Vladimir, Russia and Almaty, Kazakhstan. The programs, offered by American Councils for International Education in partnership with UW-Madison, are designed to maximize linguistic and cultural immersion in a Russian-speaking society, with an emphasis on the development of practical speaking, listening, reading, and writing skills. The American Association of Teachers of Slavic and Eastern European Languages (AATSEEL) also maintains a listing of intensive overseas Russian language programs that may fulfill the pre-capstone study abroad requirement. The Russian Overseas Flagship (ROF), located in Almaty, Kazakhstan and administered by American Councils for International Education, is an academic year study abroad program that provides students the opportunity for intensive, professional language training and development. The program offers Russian Flagship students access to courses and academic resources at well-respected centers and universities for the study of Russian language and culture. Students on the ROF have the opportunity to direct enroll in courses on an audit or for-credit basis. Feedback, questions or accessibility issues: laura.marshall@wisc.edu.